Is this the phone to bring Meizu to the west? 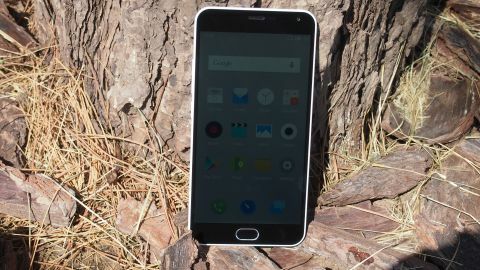 Will the Meizu M2 Note make it big outside of China? The Meizu M2 Note is an impressive phablet, with specs and features that wouldn't look out of place on a handset twice its price. If you don't mind a few quirks or a relatively unknown brand name, then it's one of the best smartphones you can buy on a budget. Meizu is a company that has found a lot of success in its native China – the previous M1 Note has sold more than 5 million units since its launch – and the company now has its sights firmly on making it big in the West, pinning its hopes on the Meizu M2 Note. Breaking out of China and gaining worldwide recognition like its compatriots Huawei and OnePlus is an understandable aim, and Meizu is relying on a potent mix of impressive specs and low price to catch the eye of Western consumers. Could the Meizu M2 Note be the handset to change the company's fortunes outside of its homeland? It's not quite as exciting as its flagship MX4 and MX4 Pro, but it offers some very compelling features for the price – and some pretty interesting innovations. At the launch event it was announced that the M2 Note will be priced at an incredibly reasonable 799RMB (about $129, £85, AU$168) for the 16GB version, and 999RMB (about $161, £106, AU$210) for the 32GB version. When I spoke to Meizu before the announcement of the international prices, I was assured that the past discrepancy between Chinese prices and the rest of the world hadn't been ideal, and that the company was looking into reducing the gap. I'm happy to report that since then, Meizu has made good on its promise, and you can buy the international version of the M2 Note for as low as £144 (about $227, AU$294), which means the M2 Note could end up being the best value handset Meizu has ever launched outside of China. The Meizu M2 Note is an attractively designed handset, and at first glance reminds me of the iPhone 3G, with the rounded back and edges, and rather minimalist front. Complaints with the M1 Note focused on the back and edges not being particularly comfortable to hold, which has been addressed with the M2 Note having a more subtle curve to it. I certainly didn't feel any immediate discomfort when holding the M2 Note, and despite its large 5.5-inch screen, it felt more comfortable than some of the other large screen 'phablets' I've held. This is thanks to the impressively slim bezel that surrounds the left and right hand sides of the screen, which hold just a sliver of black between the screen's edge and the body. The bezel along the top and bottom of the handset are thicker, but that's understandable due to the necessity of holding the speaker, a notification LED light and front-facing camera, along with the home button. Meizu previously claimed that holding an M2 Note would be like "sticking out your hand in a 60mph car", and while it certainly doesn't achieve that (and I'm not sure I'd want a phone which replicated that experience), the polycarbonate unibody felt light yet robust at a weight of 149g. The M2 Note comes in white, blue, pink and grey. From my time with each colour, the grey hue is definitely the most attractive, though the others are by no means ugly. One aspect that does take a little getting used to is locating the power and volume buttons on the left-hand side of the body – a common design choice in China that could baffle our Western hands for the first few days of using the M2 Note. Everything else is roughly where you'd expect them to be, with a headphone port at the top and a micro USB port on the bottom. On the right-hand side is a singular tray which allows you to add two SIM cards, or a SIM card and a microSD card up to 128GB. It's a nice system that keeps the body of the device looking uncluttered, though some people might not be too happy about sacrificing a SIM card to expand the memory. The oval home button is located at the bottom bezel underneath the screen and comes with some interesting innovations. Meizu described the home button as 'revolutionary' – more on that later. Revolutionary or not, the placement of the home screen, and the lack of any other buttons on the M2 Note's face, again draws comparisons with Apple devices. While this would usually be folly for devices in this price bracket, the M2 Note comes off pretty well, and it certainly doesn't look like a cheap phone.